An idea that has been percolating for a couple of weeks and a chance remark in a comment I left on Chris Hird's blog. 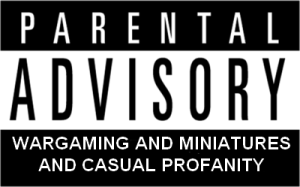 That's Chris's Miniature Woes. Has kind of become the start of something. There seems to be a few events running this month, such as Movember and Dinovember. Well I had such fun in last months Zombtober and I still have lots of zombies to paint, so the idea of continuing this into the next month really appealled. Chris Hird was saying that he had zombies to finish and wanted to extend Zombtober into Zomvember. I said it was a great idea but Zedvember sounded better. A week later, here's my first Zedvember post. Chris already posted his first Zedvember post last Thursday. To make things nice and simple let's make the guidelines, I prefer to call them guidelines who needs rules man, the same as Zombtober. So that's one completed zombie or survivor a week, posted by the Sunday. To be honest I'm going to paint these zombies anyway, I just thought it was a nice way to keep the momentum going. Let us not forget the cultural mission. Another great piece from the very talented stayinwonderland. This one is called Zurvival League - Zombie Survival Game Art #1. Another unwieldly title. Enjoy! Managed to paint another four zombies this week. All from Zombicide. The crawler sculpts are the final ones from Rue Morgue, I've shown all the different sculpts from that now. The walker is from season one, I was given another load of season one zombies last week. Along with a whole bunch of Berserker zombies and VIPs plus a couple more seekers. These came to me via Sheldon from Paul Kennedy, one of the stalwarts of Crow Valley Crusaders, my local gaming club. Cheers Paul! You may have noticed that I converted him. The Santa is another VIP in a different colour scheme. MORE ZOMBIES SHUFFLE AND DRAG THEMSELVES TOWARD THE HORDE. In the surprise package last week was around about 100 zombies including a whole tray's worth of season one, virtually a whole tray of berserkers plus a few season two regular zombies and another shedload of VIPs from both boxes of Very Infected Persons #1 and #2. Looks like the horde is going to be bigger than I thought it would get! ANYONE FOR A LITTLE BLOOD? I'm still really enjoying this season's The Walking Dead and hope everyone else is too. Well I guess that's all I got for this time dudes and dudettes. 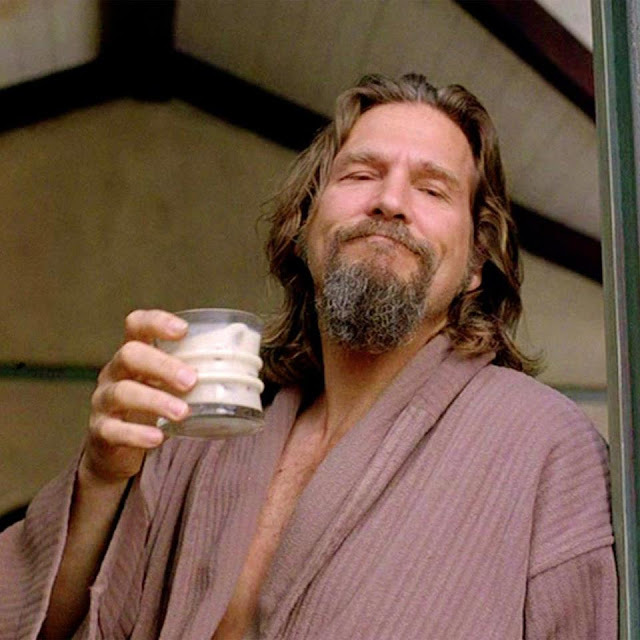 So until next time try and do as the DUDE and "take her easy". Zombies come in hordes, right? Or is it herds? I needed something to maintain my momentum dude! Just a bit of fun to maintain my interest dude! Great to hear that adventure continues and what a cracking start Bob. Yes the adventure continues, anything to keep my roll going! Just binge-watched the first episodes of this season today dude and it is awesome! It's a great start to this season that's for sure! Good on you, Bob, for extending Zomtober into Zedvember. For me, every month should be a zombie painting month. I think every month is a zombie painting month for me too Dude! I just gave it a name. Love the green Santa, very cool. Also loving TWD as well, Can't wait for the next episode, we'll get it tomorrow might (Monday) wonder if Glenn actually made it or not??? I'm really looking forward to the next episode! I think he made it myself. Everybody loves Santa dude! Even if he's a zombie. Father Christmas looks good in green, I must say. Zedvember? I'm still trying to wrap up my Zomtober efforts. He was green before Coca Cola got hold of him. That's exactly what Zedvember is for dude! Go for it Bob, whatever makes you motivated can't be a bad thing. It is keeping my motivation up at the moment. Who knows where it will end? I've still got lots of zombies to paint but there's other stuff needs doing too, like scenery! 100+ new ones...? How are you going to find time to paint all that, on top of what you'd already owned??? Madness I say. Yes, I think some madness could lie on the road ahead! Wibble! 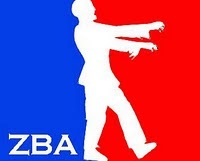 As for your latest batch of zombies, the guy with the green ties gets my vote as zombie of the week. His name has disappeared from the titles, so who knows? It's a brave move if he is dead!